Top o’ the morning to ya. It’s back to reality for me today unfortunately after a very lovely, but very wet weekend away in Dublin for Mum’s birthday. Dublin is very expensive but worth every penny cent. As the saying goes a picture speaks a thousand words and to be honest I am far too tired to write any more than what I need too. 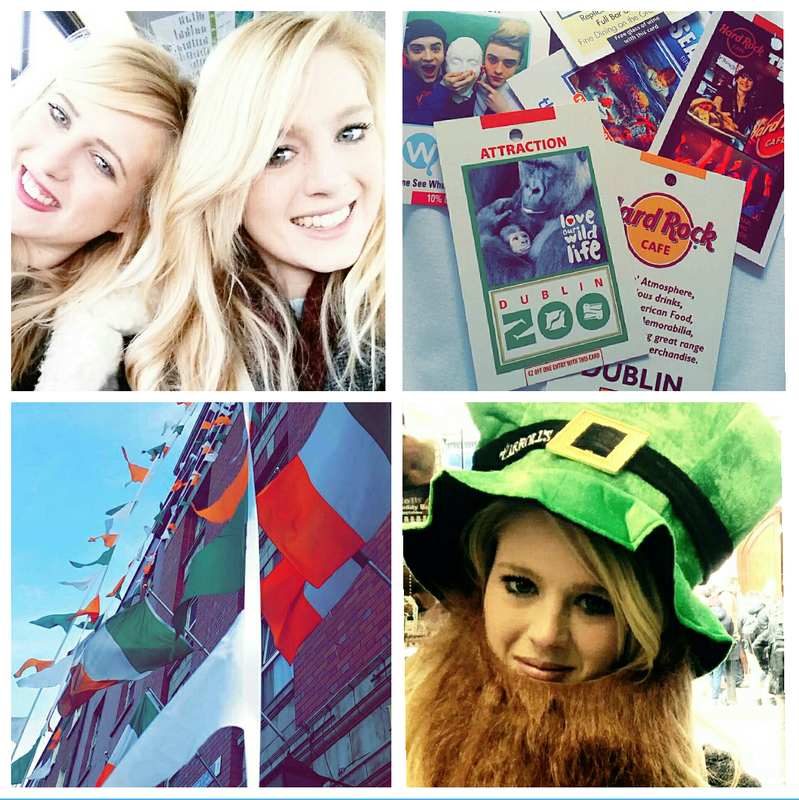 So I hope you enjoy the pictures as much as I enjoyed Ireland- Rain and all. 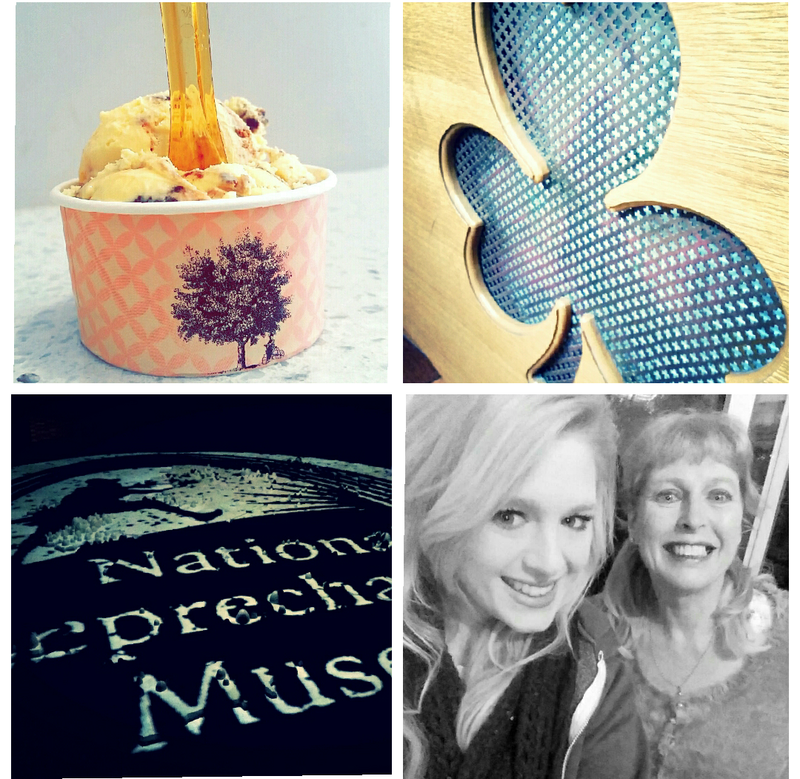 Top Left- Mum, Sister and I outside the Guinness Factory. Top Right- Guinness Factory Advertisement. 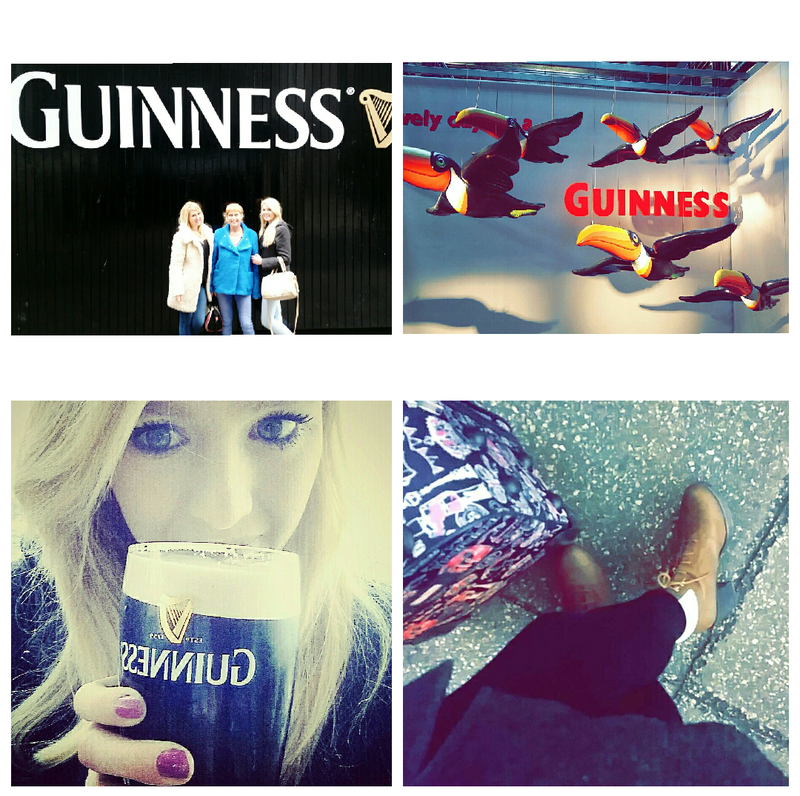 Bottom Left- Trying my first ever Guinness. Bottom Right- Waiting for the plane very early in the morning! 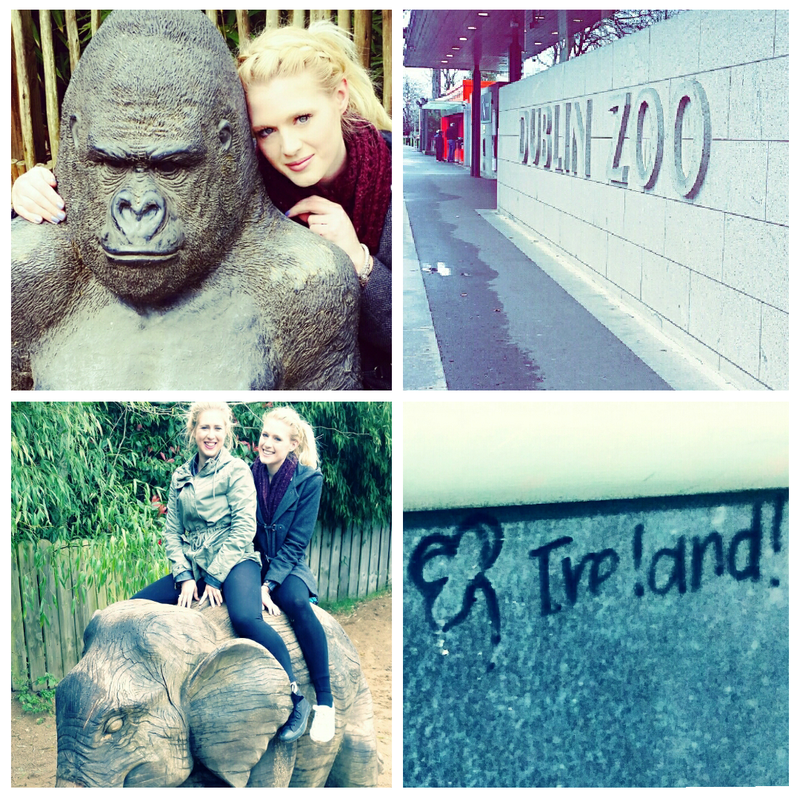 Top Left- Made a Friend at Dublin Zoo. Bottom Left- Me and my sister on top of a Wooden Elephant. Bottom Right- I (Insert Clover Emoji) Ireland. So cute. 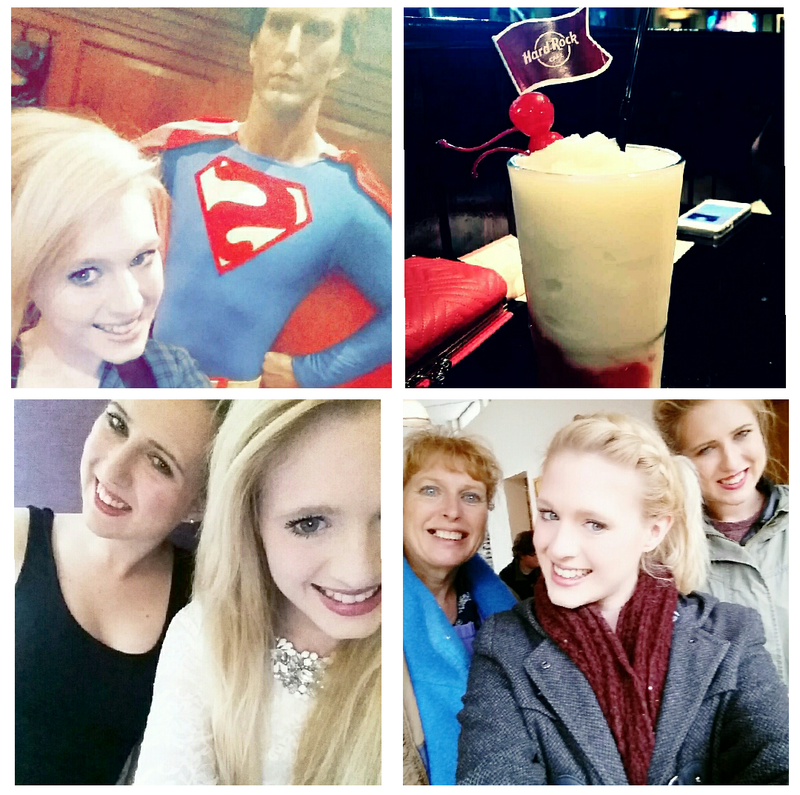 Top Left- Found Superman at the National Wax Museum. Top Left- Cookies Icecream at SuSo- INCREDIBLE. Bottom Right- Me and the Birthday Girl!